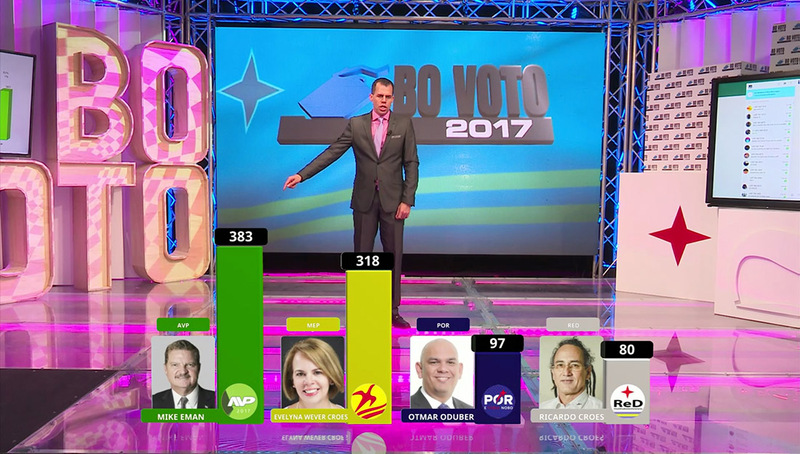 Brainstorm recently helped support Telearuba’s coverage of the Aruba Elections in September. Telearuba, the top-rated broadcaster in the country, used data-driven graphics created with AstonElections, Brainstorm’s template-based election and business graphics solution, and was paired with InfinitySet. This combination allowed Telearuba to display an array of 3D and augmented reality graphics at a fraction of the cost typically associated with this technology, according to Brainstorm. “This proves once again the robustness of our systems”, says Borja Chirivella of Brianstorm. “We are proud not only of how effective and easy to use our solutions are, but also of how well Telearuba has conducted the whole enterprise with minimal training involved. We have no doubts that they’ll continue to make use of Brainstorm’s software to great effect in the years to come”.